Are you ready for some football? 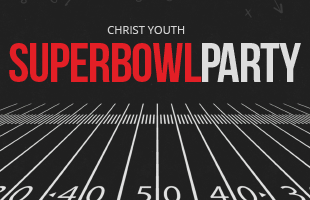 Christ Youth is hosting a Super Bowl party for students in 7th -12th grade at the church! The game will be shown on the screen in the youth room and of course, there will be food, a video game tournament, and lots of give-a-ways. Bring a friend! The cost is $10.